The day before the start of NYFW I left a press appointment where the conversation had been centered around the lack of originality in New York street style. Needless to say I went into the week feeling inspired to mix it up. A "why not?" attitude, if you will. 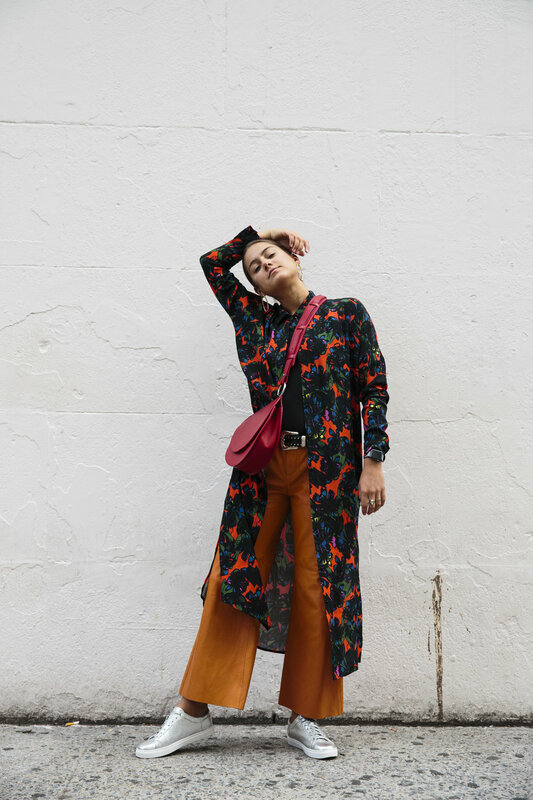 Why not open up a floral shirtdress and pair it with orange leather pants and metallic sneakers? Why not add a western belt and structural accessories? Each piece unique and radically different from the next but somehow when paired together worked in some crazy, NYFW street style , mash-up kind of way. Shop the links above to get the look and stay tuned for more of my favorite looks from fashion week.